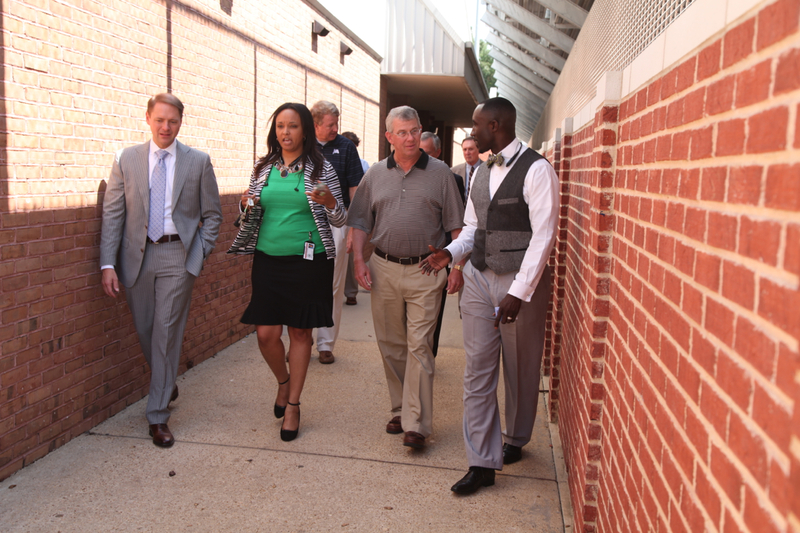 Mayor Tony Yarber, his Chief of Staff Jackie Anderson-Woods, Office Coordinator Charity Clark and Executive Assistant Kimberly Bracey joined members of the JA administrative team and board for lunch and a tour of Jackson Academy Wednesday, September 17. 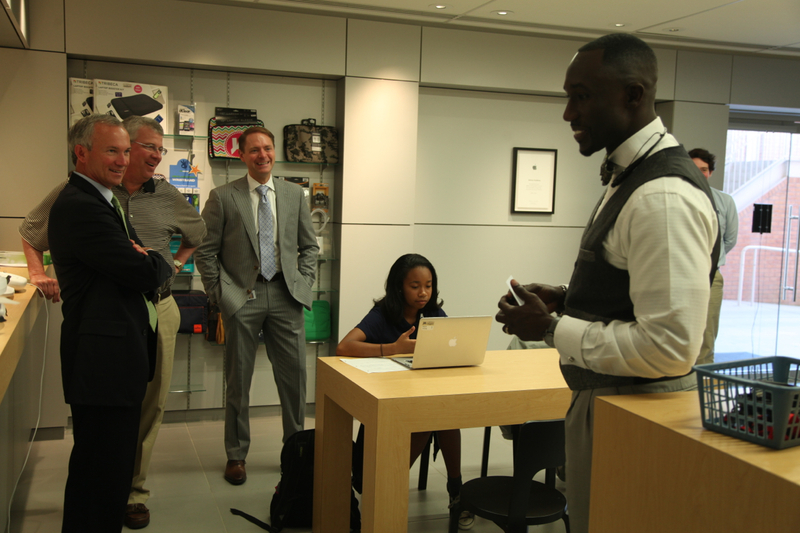 They visited the Tech Center where he was given a description of the Apple one-to-one program and JA’s computer security practices. 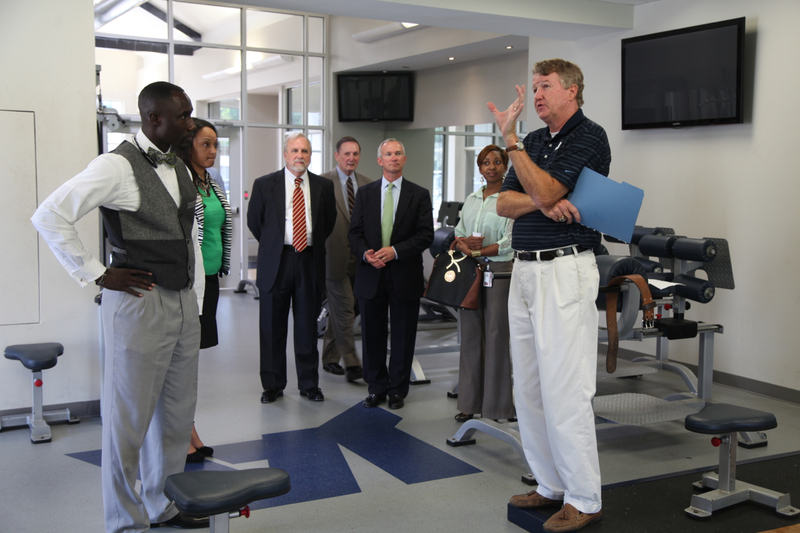 He also visited a Middle School STEM lab and Raider Hall, with a conversation in the weight room with Athletic Director David Sykes. JA staff shared how the school was founded in 1959 by a group of parents for the purpose of teaching reading by phonics. That founding spirit of innovation in teaching phonics during a time of sight-reading was contrasted to the innovation in teaching and learning found at JA today. 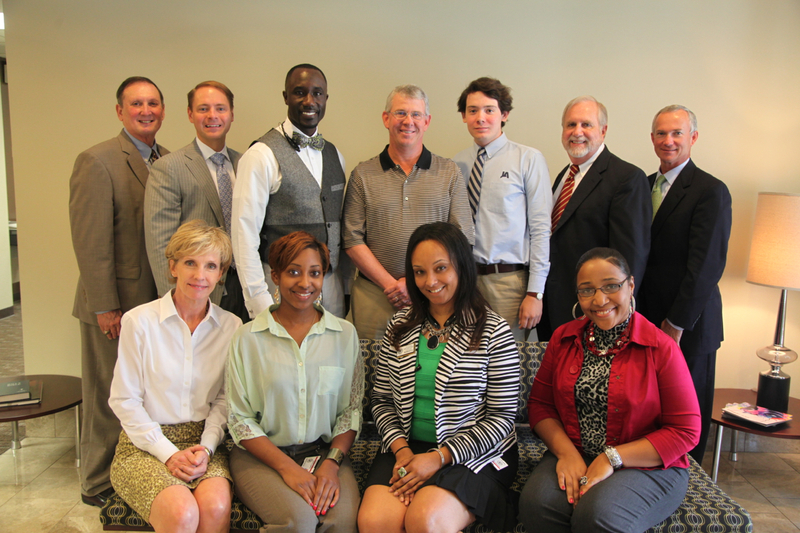 The group discussed initiatives in city government and ways JA and the city could be good partners in advancing Jackson.